The following tablet shows the best tablets we reviewed over the last 12 months. If ratings are equal, newer articles are listed first. You can sort the table by clicking its headers or via text filter (e.g. "matte"). Despite a few interesting tablets we had in review last month none of them scored high enough to break into our Top 10. However, Lenovo's Tab P10 (83%) certainly was a very interesting device that can be had for less than $300 already. 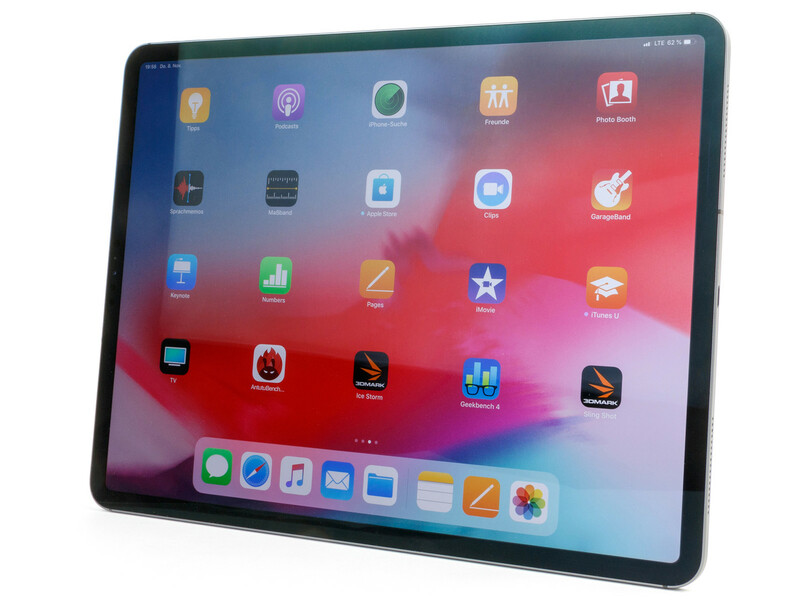 Apple completely redesigns its iPad Pro models with the 2018 generation. The tablets get a new design, which is now based on recycled aluminum and slim bezels. The iPad Pro 11 is powered by the fastest ARM-SoC on the market (by quite a margin). The storage size is between 64 GB all the way up to 1 TB in combination with 4 GB RAM (the high-end SKU even gets 6 GB RAM). The panel size is increased to 11 inches thanks to the slimmer bezels. 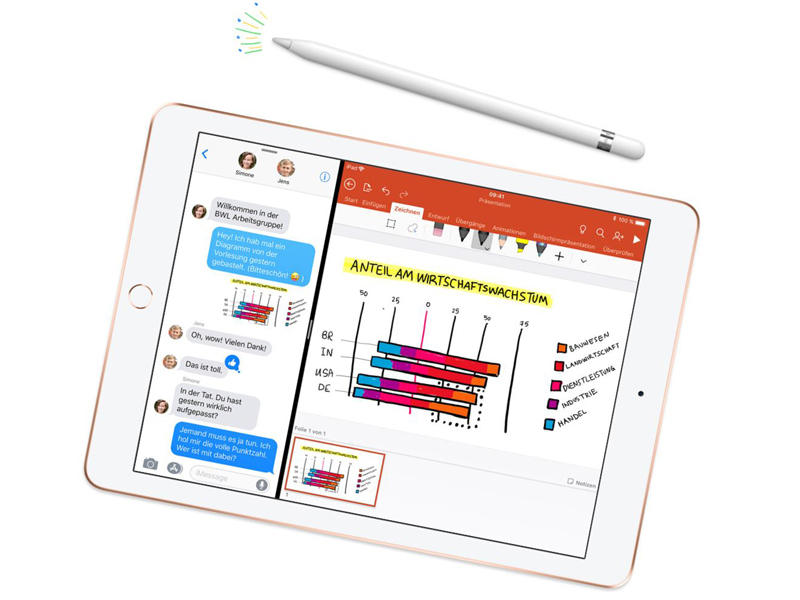 It is very convincing during the review and also supports the new Apple Pencil 2. Face ID is now included as well. The good speakers and the long battery runtimes complete the overall package. 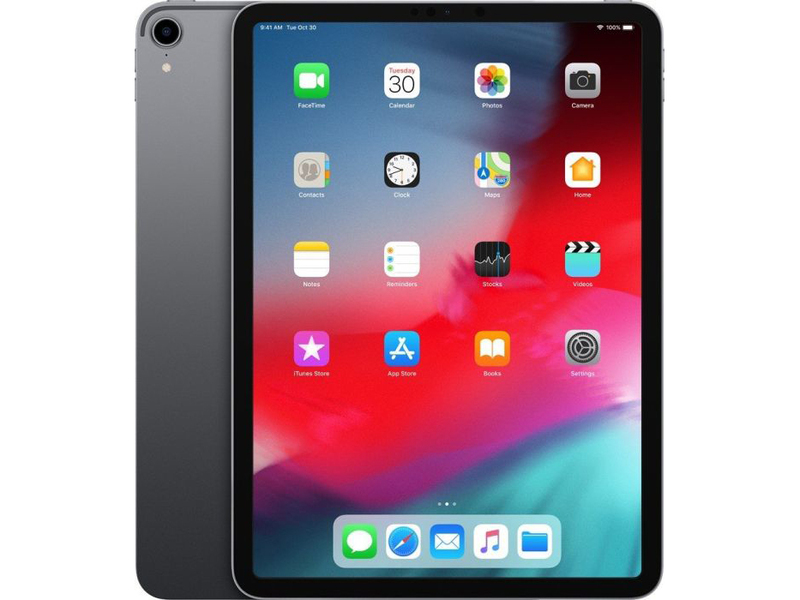 However, we don't think the tablet is the advertised notebook replacement, because the USB-C port and iOS limit the use as a productive tool too much. Apple completely redesigns its iPad Pro models with the 2018 generation. 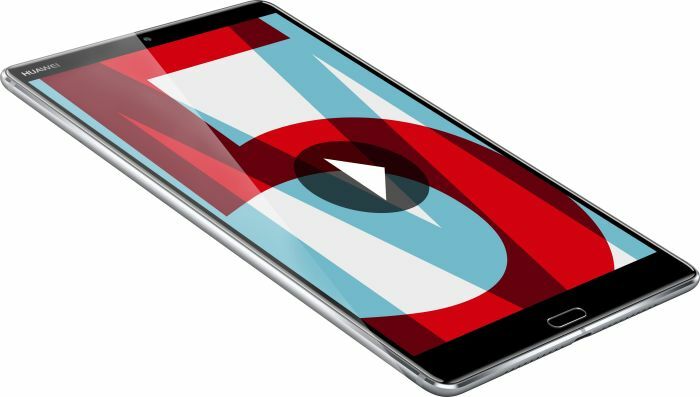 The tablets get a new design, which is now based on recycled aluminum and slim bezels. The iPad Pro 12.9 is powered by the fastest ARM-SoC on the market (by quite a margin). The storage size is between 64 GB all the way up to 1 TB in combination with 4 GB RAM (the high-end SKU even gets 6 GB RAM). Contrary to the smaller model, the Californian company do not use a bigger panel in the same chassis size, but leave the panel and make the case smaller. The iPad Pro 12.9 is still a huge tablet, though. The panel is once again very convincing during the review and also supports the new Apple Pencil 2. Face ID is now included as well. The good speakers and the long battery runtimes complete the overall package. 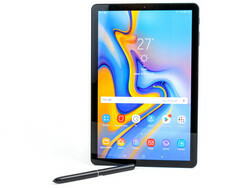 However, we don't think the tablet is the advertised notebook replacement, because the USB-C port and iOS limit the use as a productive tool too much. 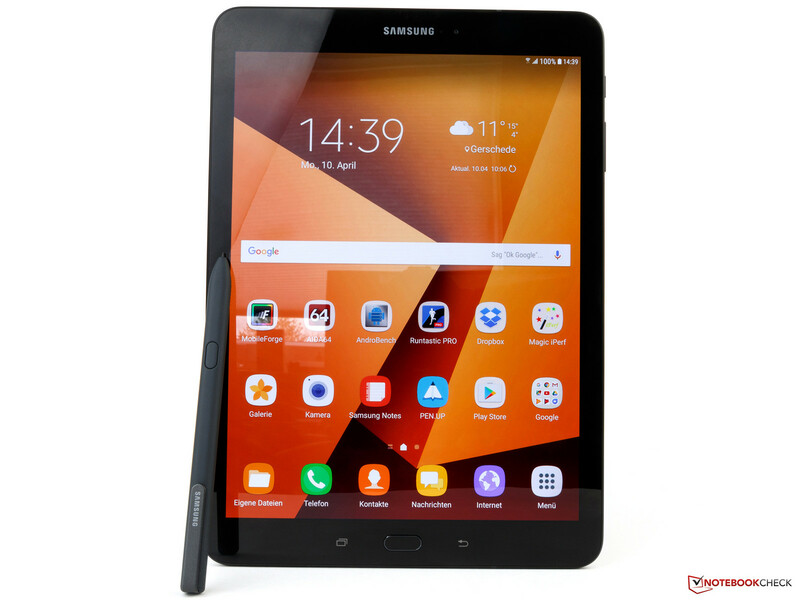 Not high-end, but a really strong combo is the best way to summarize Samsung's Galaxy Tab S3 LTE. The Korean manufacturer's premium tablet has a 9.7-inch Super AMOLED screen with HDR support. The S Pen is now also mandatory in the Tab S Series and is delivered with the tablet. The device is powered by a Qualcomm Snapdragon 820 that although it is not the latest model, still achieves a superb performance. Furthermore, 4 GB of working memory and 32 GB of internal storage are included. The latter can be expanded via a microSD card. The LTE version can be used as a phone and the Wi-Fi module is fast in the home network. The four speakers provide a decent sound and the battery life also convinced us in the test. Unfortunately, there are some points that have to be criticised. Samsung does not install a high-end SoC, which excludes cutting-edge Bluetooth 5.0. The cameras are only average and the storage is relatively slow. 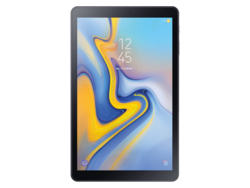 The Samsung Galaxy Tab S4 is mostly fine tuning of the previous model. The display size is increased to 10.5 inches thanks to slimmer bezels and you get a more modern SoC. It is still a last year's model, but at least supports Bluetooth 5.0. The internal storage size is increased to 64 GB and can be expanded via microSD card. The USB-C port now supports USB 3.1 (Gen.1) transfer speeds and can also be used to output wired display signals via optional adapter. Samsung DeX is now directly integrated into he tablet, so a productive usage scenario in combination with a keyboard cover makes sense. Both the keyboard as well as the S-Pen unfortunately suffered in terms of quality impression. The Pen is still included though and does not require a battery. An update to Android 9.0 Pie is expected sometime next year. The 6th generation Apple iPad is currently probably the cheapest tablet from the Californian manufacturer. You get the Wi-Fi SKU with 32 GB internal storage for 349 Euros, but you can also opt for 128 GB and LTE, which will raise the price all the way up to 569 Euros. 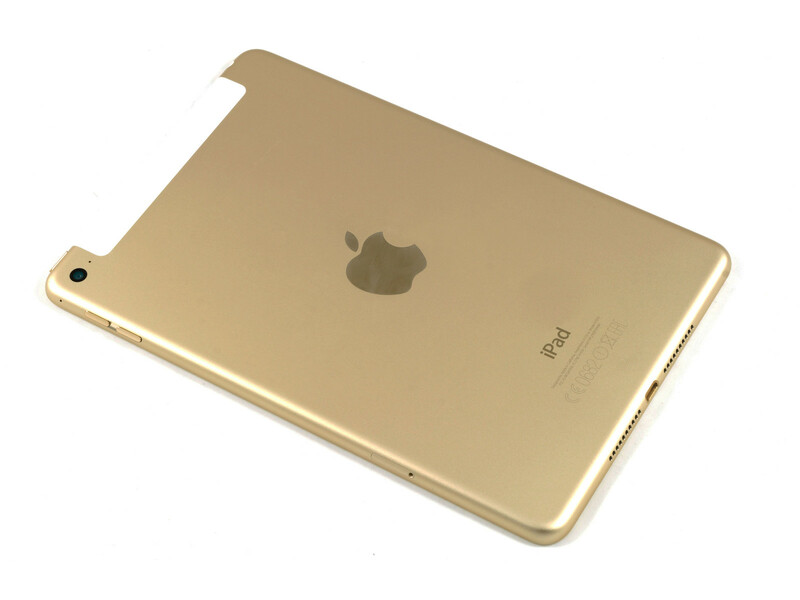 The design is based on the classic iPad and you get a 9.7-inch IPS display. However, it is not laminated and the gap between the glass and the panel is visible. The 2016 SoC is newer compared to the old model and still offers high performance figures for today's standards. It should also receiver the iOS 13 update. The camera performance is not very good though. The iPad is still a great tablet if you do not need a high-end device. Prior to its presentation, the Apple iPad Mini 4 was almost considered a dying species. At the Keynote, Phil Schneider mentioned the small iPad in only two sentences. Wrongly, as our review shows. 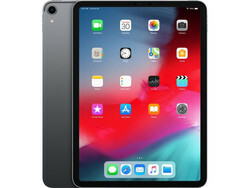 Although the iPad Mini 4 cannot fully reach the promised performance level of the Air 2, it brings more than sufficient performance for all current tasks. Even demanding 3D games are not too much for the Mini 4. Compared to its predecessor, which Apple has already removed from its portfolio, it shines with the right improvements. These include a slimmer and lighter case, faster WLAN modules and especially the anti-glare display that sets new standards in outdoor visibility. In addition, the GPS sensor works excellently. The Huawei MediaPad M5 10.8 is a tablet that first and foremost tries to impress with its high build quality, its decent display, and its good performance. Despite the fact that the Kirin 960s is slightly slower than the 960 overall performance is still very decent. 4 GB of RAM and 32 GB of storage are okay, however we would have wished for more storage space to be honest. At least the tablet features a microSD slot for storage expansion. The speakers were okay, LTE (optional), and Quick Charge to reduce charging times dramatically. If you want more storage, LTE, a faster SoC as well as pen support, you should have a look at the larger sibling MediaPad M5 10.8 Pro. 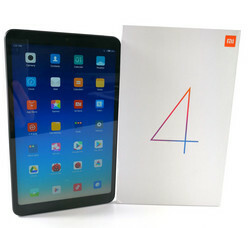 The Xiaomi Mi Pad 4 is an 8.0-inch tablet with a high-resolution IPS display. 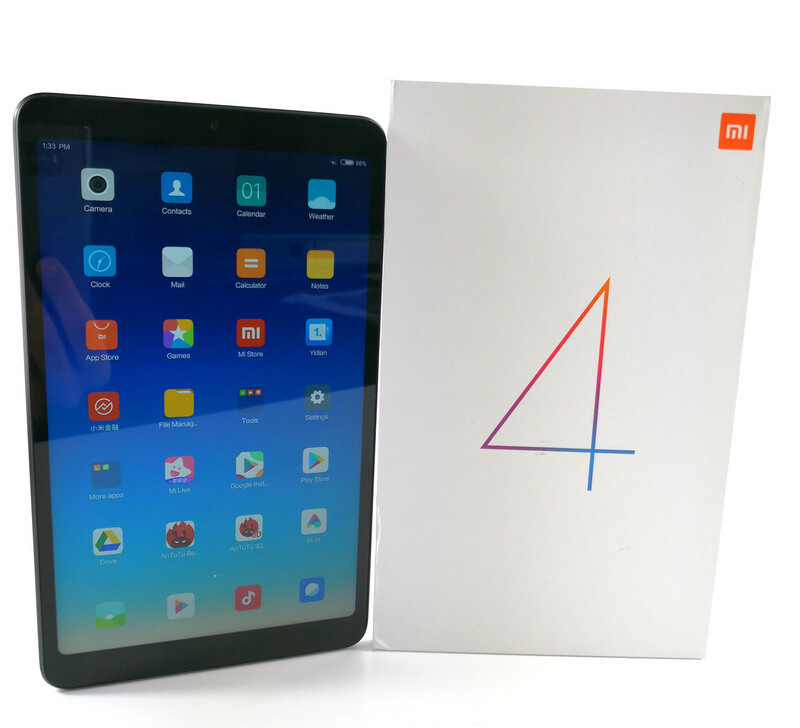 The tablet is equipped with an upper-class SoC, 3 GB RAM as well as 32 or 64 GB internal storage. LTE is available for a comparatively small additional charge. The panel does not manage the best contrast ratio and the camera could not convince us. You get fast WLAN, good build quality, great battery runtimes and a lot of performance for a fair price in return. 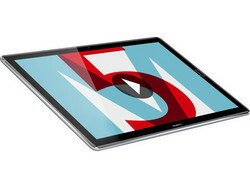 The smaller Huawei tablet from the MediaPad M5-series features an 8.4-inch 16:10 display with 2560 x 1600 pixels. It is powered by the Kirin 960s, which is not quite as fast as the 960 for smartphones, but the performance is still good nonetheless. The memory equipment with 4 GB RAM and 32 GB internal storage is okay and can be expanded via microSD, but it could be more generous. 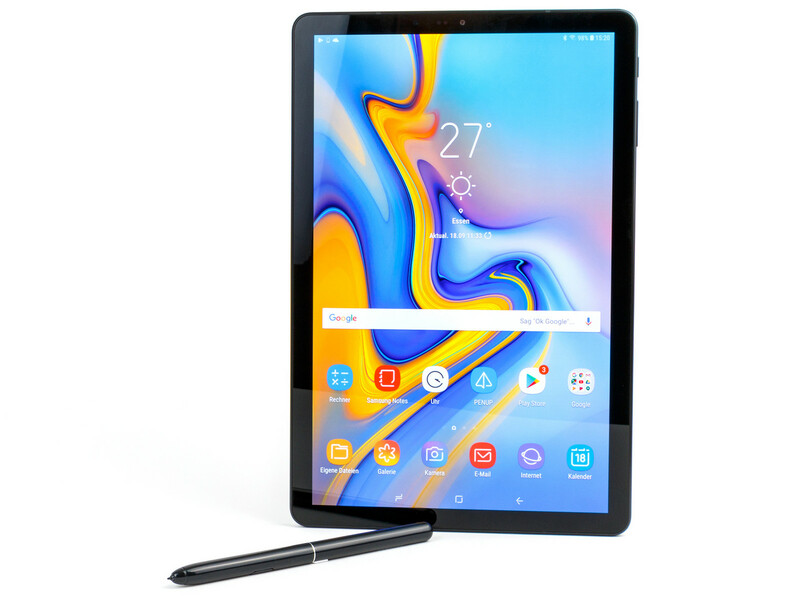 LTE, USB 3.1 aptX, good battery runtimes, and a pretty modern Android 8.0 Oreo complete the package of the compact tablet. The Huawei MediaPad M5 8.4 does, however, lack a 3.5 mm stereo jack. 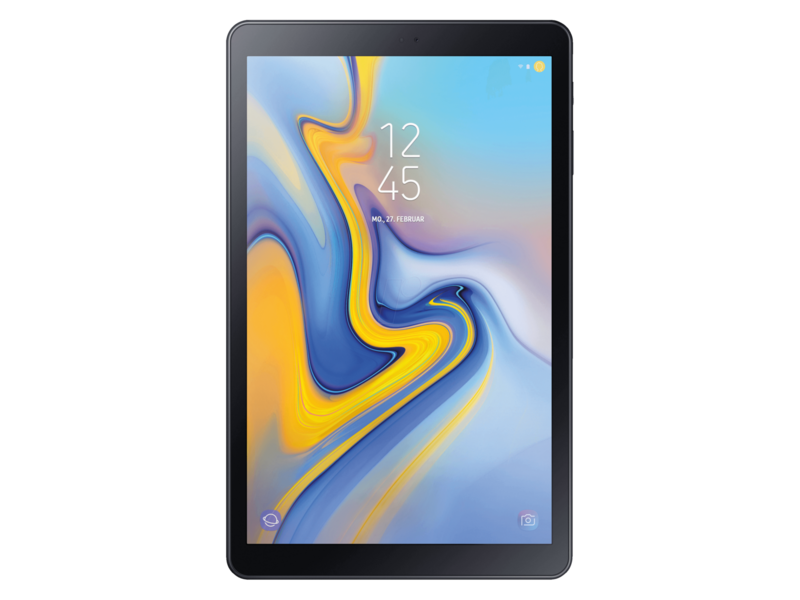 The Samsung Galaxy Tab A 10.5 (SM-T590N) features a 10.5-inch IPS screen, a modern entry-level SoC from Qualcomm, 3 GB RAM as well as 32 or 64 GB storage, which can be expanded via optional microSD-card. Besides the fast ac WLAN you can also get the Samsung tablet with LTE. We liked the speakers, long battery runtime and the excellent display during our review. You also get a USB-C port on the entry-level model, even though it only supports 2.0 speeds. Drawbacks include the mediocre cameras and demanding games will not run smoothly at maximum details.